“Today again Russian submarines and ships have been sighted in Latvia’s vicinity”, “The Baltic States should worry about the EU collapsing”, “A total of 18 Russian military vessels and nine aircraft were observed at the Latvian border in July”, “NATO will continue to closely monitor what is happening in the Baltic Sea region”, “A high-ranking US analyst: The third world war could begin in Latvia” – these are Ieva Epnere’s notes in preparation for the exhibition. Loosely translated, these headlines-statements from local and international media, whose adequacy and legitimacy of facts is a question in itself, is more than the introduction of a problematic situation. They indicate that today’s so-called era of individuality is consciously directed towards a new Cold War situation. Seemingly peaceful condition of the present day is beginning to waver and general surveillance and monitoring in a new manifestation has returned to this coast. Thinking about the distinction between friend vs. foe, one of us vs. foreign, participant vs. observer, in her new body of works Epnere focuses on the material evidence of the Soviet legacy, as well as its psychological imprints on people’s lives. For her territorial and content-based framework Epnere has selected Latvia’s western border – an ever symbolically and politically charged strip along the Baltic Sea, which at one point had been the far western boundary of one power, but now is the east of another entity. Based on personal experiences, research and significant coincidences (encountered persons, obtained facts, etc.) and things heard and disclosed in conversations, Epnere’s video-works, photographs and the exhibition scenography is based on the question surrounding the volatility of identity. In response to societal development processes in post-Soviet Latvia, the artist investigates how an individual’s memory functions and what is its role in the construction of collective memory; how unwelcome experiences are repelled and how someone who has grown up and worked most of his or her life in a single regime, is able or unable to cope with the new situation and to integrate in it. The exhibition theme is introduced through the brownish-pink wall tone in the first exhibition room, which has been deliberately chosen for its likeness to the warm tones of the Army Fleet divers undergarments; photographs have been placed upon it – levitating objects encased in a black matted background, military seamen’s status affirming high seas sailing trophies, such as whale ivory, coral and other coveted objects. 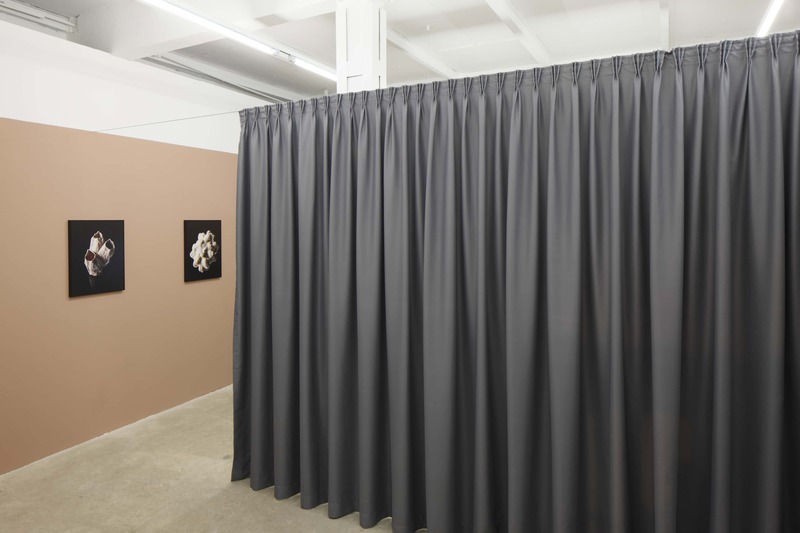 Stylistic references and notable details continue in the spatially separating grey curtains – symbolizing war, industrialization, as well as secrecy and shadows. 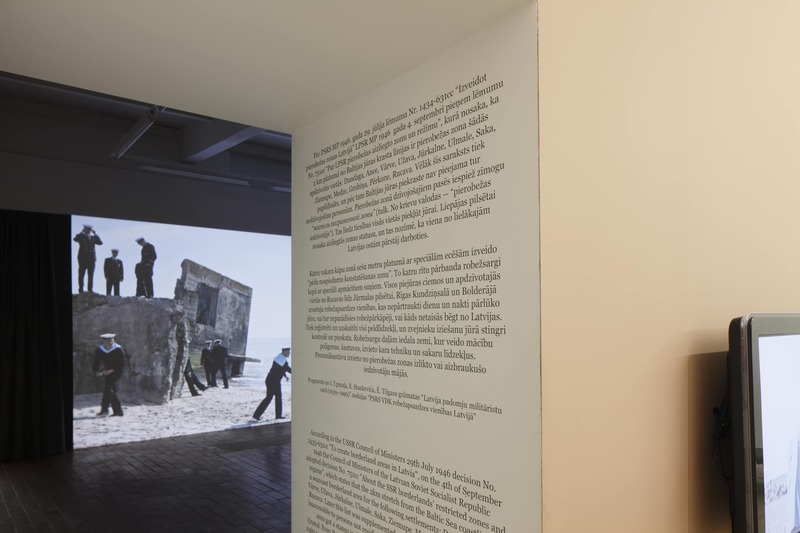 This slightly wavy cloth in the tones of the Baltic Sea is like a watershed that frames the exhibition space and divides it from the section of living narrative – the six documentary film videos screened behind the curtains: first-person narratives as told by residents of the Baltic coast’s former forbidden zones. 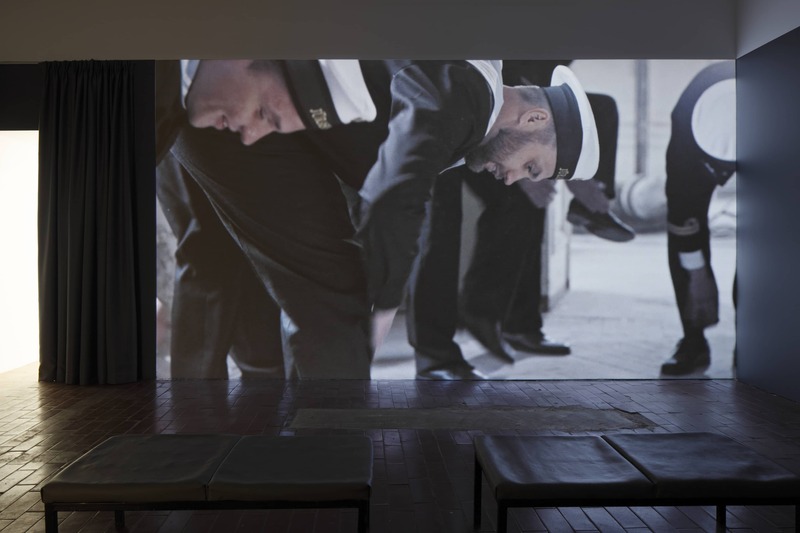 In the second exhibition room the central piece is projected – a video titled Potom (translation from Russian – later) where, with the assistance of a captivating environment, time and personal conditionality some ambiguous “former military official” erring is constructed in this historically charged time and space. The video’s first few minutes announce something unknown and unexplainable, story-wise it’s the appearance of the film’s character in various environments: on the seashore, on a ship, in the specific area of Liepāja, Karosta, and ritual situations: morning routine, bodily exercises and donning a uniform. Similarly, the symbolic replacement of different powers is tangible in the film, from Soviet occupation to the restoration of state independence, so that past experience is increasingly merged with today’s situation, the ending frames yet again return to the sea and conjure up clear indications pre-shadowing threat. Ieva Epnere (b. 1977) lives and works in Riga, Latvia. She creates photographs, video works and films, where personal, private stories are the starting point for artistic reflections on identity, traditions and rituals. 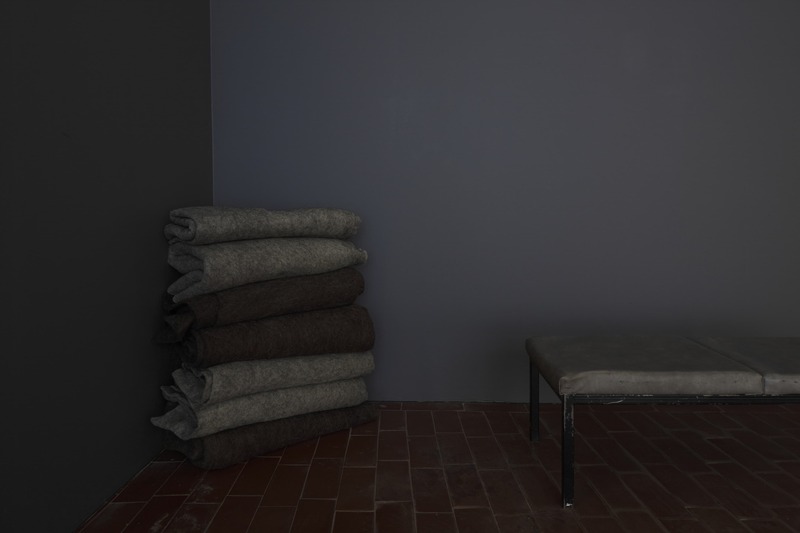 Latest solo-exhibitions: Sea of Living Memories, Art in General, New York (2016); Pyramiden and other stories, Zacheta Project Room, Warsaw (2015); A No-Man’s Land, An Everyman’s Land, kim? 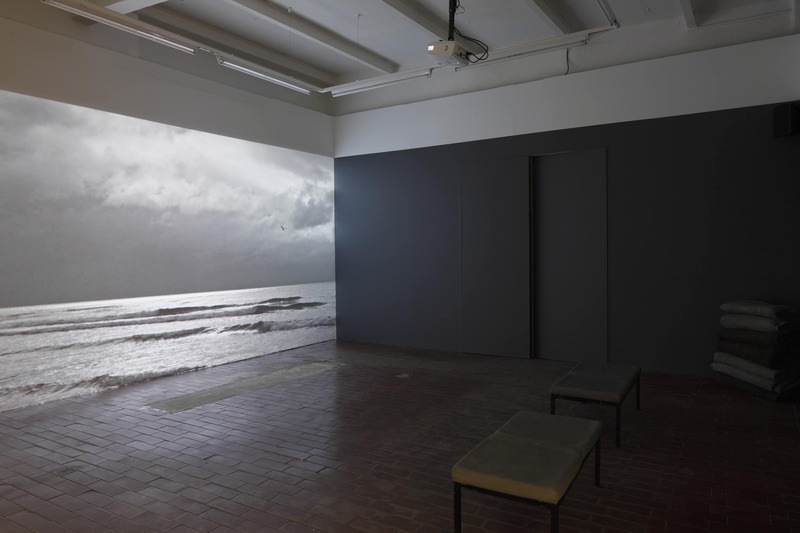 Contemporary Art Centre in Riga and The Liepāja Museum (2015); Waiting Room (2015), Contretype, Brussels; Galerie des Hospices (2014), Canet-en-Roussillon (2014); Mindscapes (2013), kim? Contemporary Art Centre in Riga. 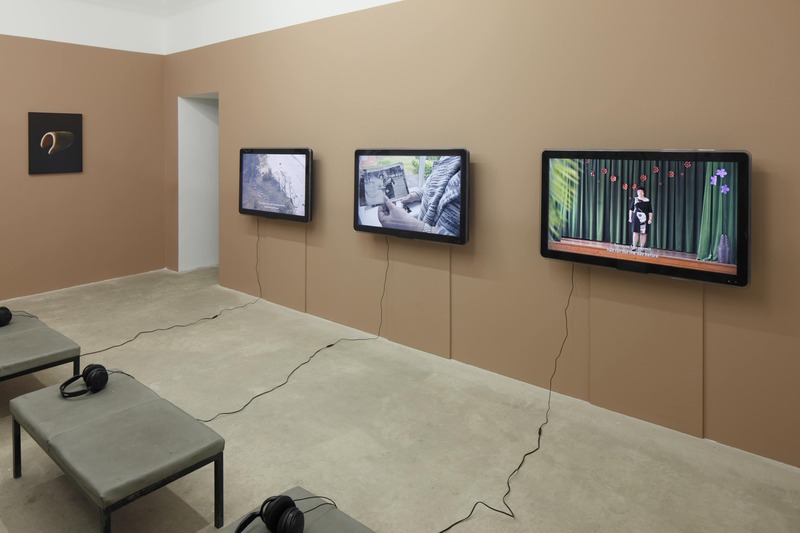 Group exhibitions: Contemporary Landscape, Cēsis Art Festival, Cēsis (2016); 62nd International Short Film Festival Oberhausen, Germany (2016); Identity: Behind the Curtain of Uncertainty, Ukrainian National Art Museum, Kiev (2016); Something eerie, Signal – Contemporary Art Centre Malmo (2016); Le fragole del Baltico, Careof, Milan (2015); Ornamentalism. The Purvītis Prize (2015), Arsenale, Venice; 61st International Short film Festival (2015), International Competition, Oberhausen, 6th International Contemporary Art Biennale in Moscow (2015). 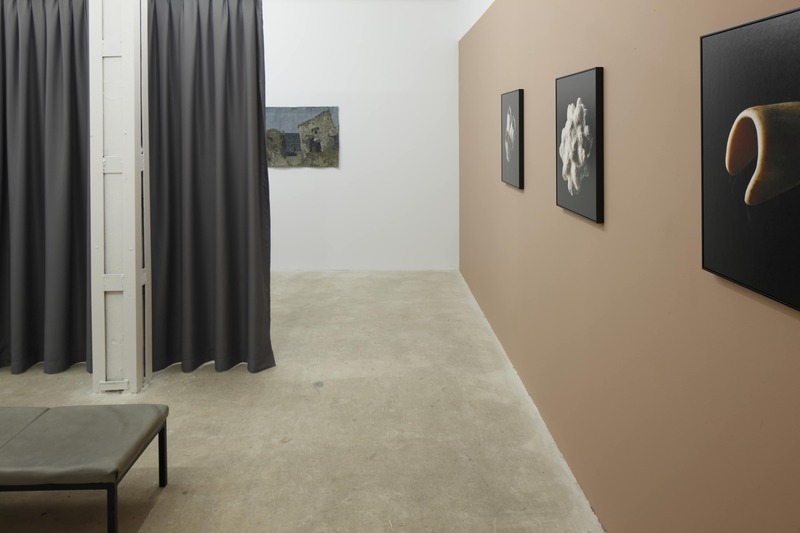 Sea of Living Memories was first presented at Art in General, New York as part of the organizations New Commissions programme in September-October, 2016 during Epnere’s residency at International Studio & Curatorial Program (ISCP) as the recipient of Kim? Residency Award 2016.